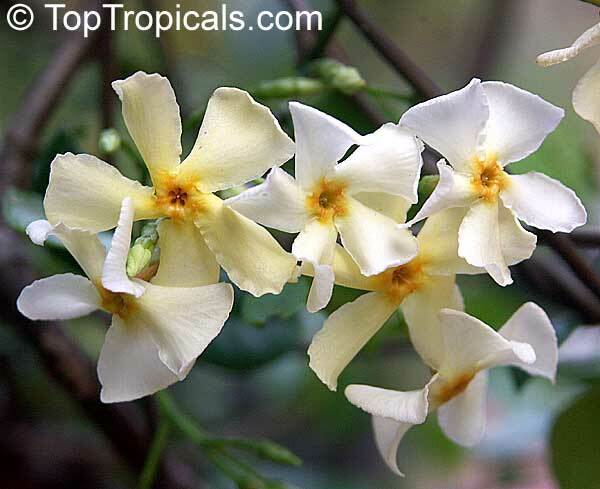 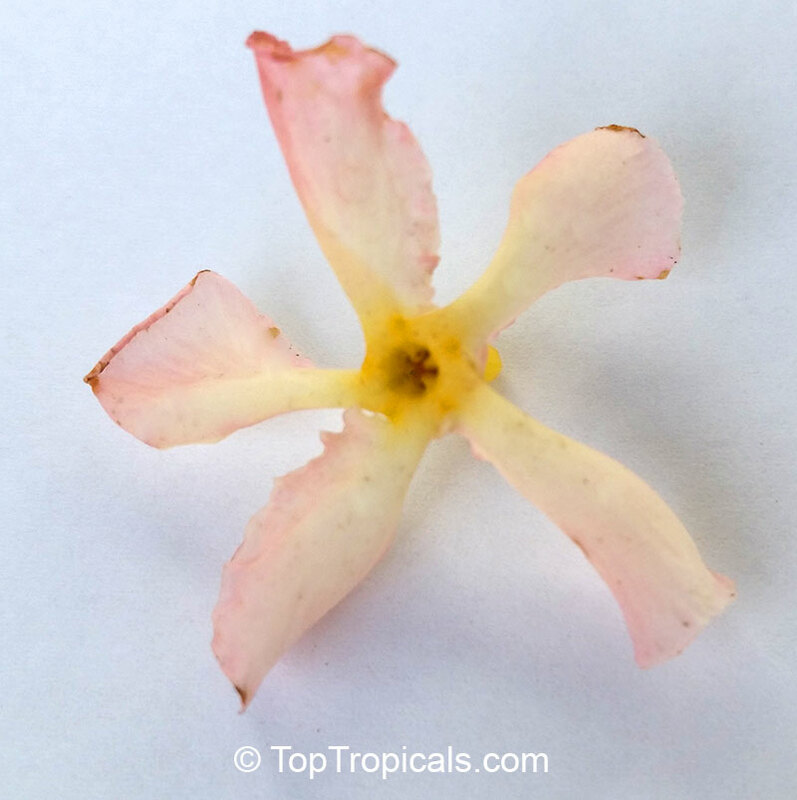 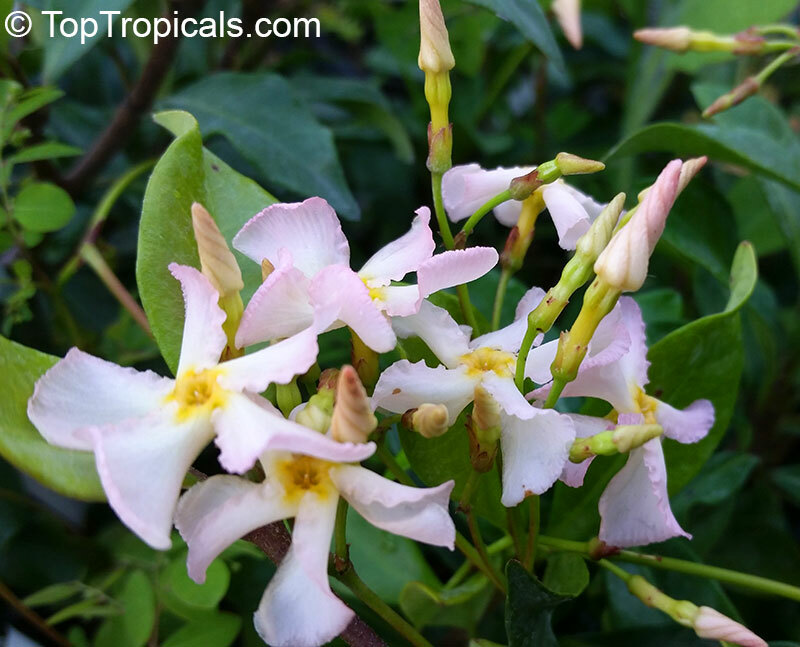 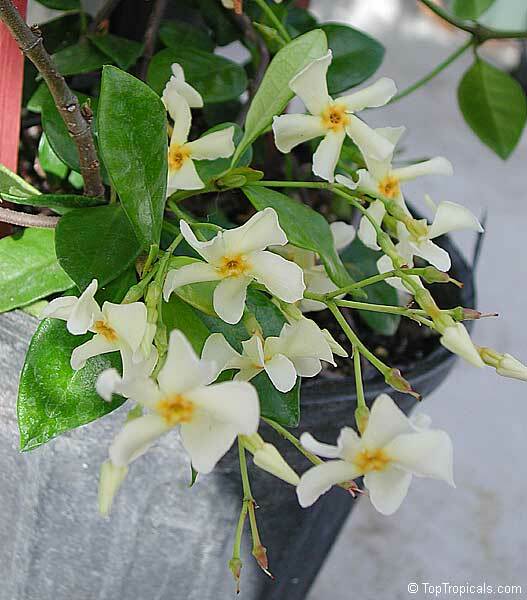 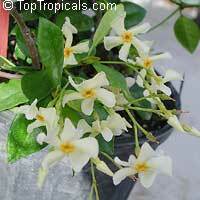 Moderately frost hardy vine that grows in full sun to full shade, asian jasmine has oval leaves 1-2 inches long that are glossy and dark green. It has a compact habit and will grow prostrate on the ground or cling to a wall. 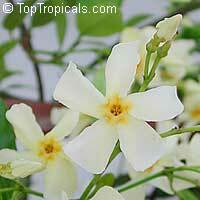 It is the answer for anyone wanting that elusive combination: an evergreen climber with heavily scented flowers. 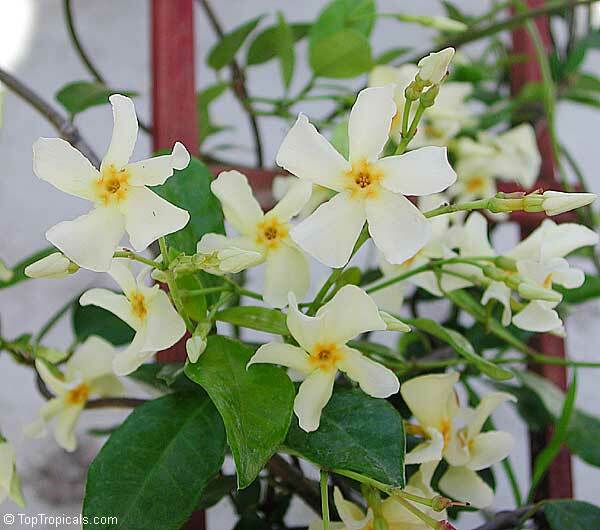 The foliage is neat and unobtrusive, and makes a good background for the clusters of creamy white flowers that appear in mid-summer. 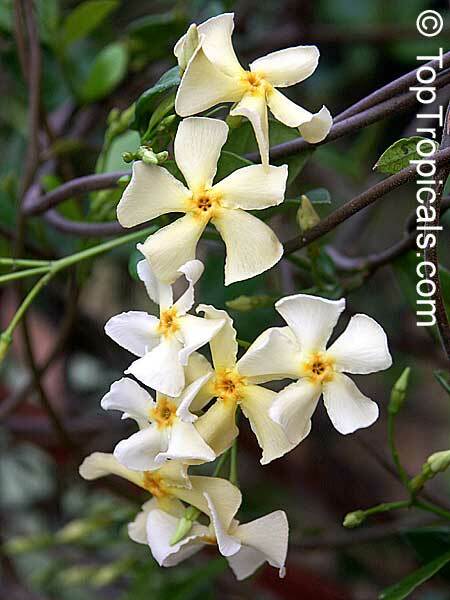 It is particularly good for growing over an arch or arbour where the delicious perfume can be best appreciated.